Running down the list of new Bellingham Mariners to start the 1990 season, manager P.J. Carey expressed optimism in his catcher Matt Kluge, according to The Seattle Times. The second year pro backstop, Carey recounted, came out of extended spring training that year where he played strong defense, The Times wrote. Kluge played that year at short-season Bellingham. He played two more at high-A San Bernardino and Peninsula. But his defense couldn't carry him further. He played four seasons. He never made the majors. Kluge's pro career began in 1989, taken by the Mariners in the 19th round of the draft out of Hillsborough High School in Tampa. At Hillsborough, Kluge won all-county honors, according to his Bellingham card. He also made a base-running mistake that turned an inside-the-park home run into an out: He missed both first and second, the card back reads. Kluge played his first pro season in the rookie Arizona League. He hit .239 in 15 games. 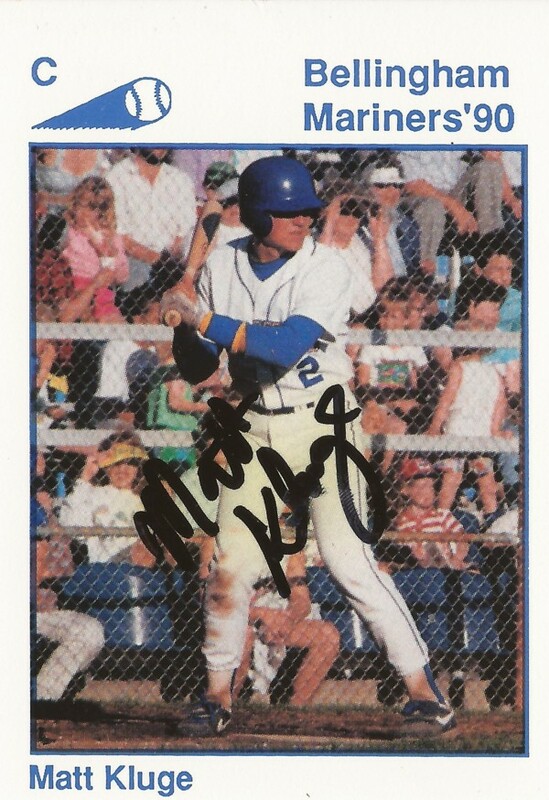 He then moved to Bellingham, where he played 34 games at catcher and hit .242. He hit a two-run double in July that helped Bellingham in a comeback. Kluge split 1991 between San Bernardino and Peninsula. In 46 total games, he hit .200. He then returned to San Bernardino for 39 games in 1992. He hit .173 that year to end his career.